Our senior caregiving services include a full-continuum of health care options for Jewish seniors and those of any age, religion, or culture. We serve a variety of aging needs and provide long-term independent living, short stay rehabilitation, hospice, dialysis, and more. You or a loved one can receive person-centered senior care options from our Southeastern PA campus or throughout the Greater Philadelphia community – wherever the patient calls home. We don’t only provide geriatric care services – we work with patients of all ages in our rehab programs. We are committed to providing exceptional person-centered care to all, including LGBT+ individuals and their families. 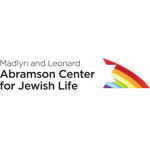 Underlying the mission of the Abramson Center and the work we do is the belief that all people are created, b’tzelem Elohim, in the image of God and deserve respect, compassion and care.